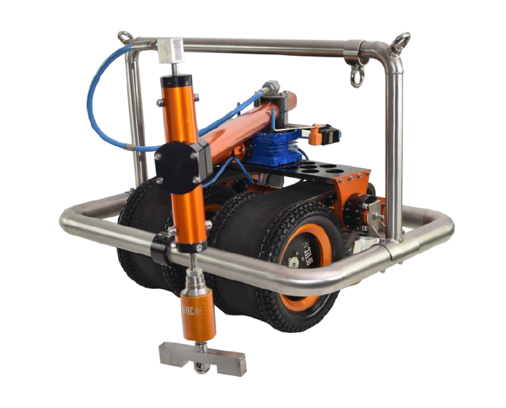 We have an exciting new and innovative robot added to our collection, a Magnetic Crawler to enhance the water jet cleaning service that we already offer. The crawler is able to stick to a vertical tank wall with super magnets that are extremely strong. This allows the crawler to move along the exterior wall of a tank securely and with ease. When it comes to the stripping and re-painting of large industrial tanks, scaffolding alone can cost hundreds of thousands of pounds. Not only this, but it can take a long time to put up and secure before work can even begin on the tank. The Magnetic Crawler completely removes the need for scaffolding, saving a lot of time and money. 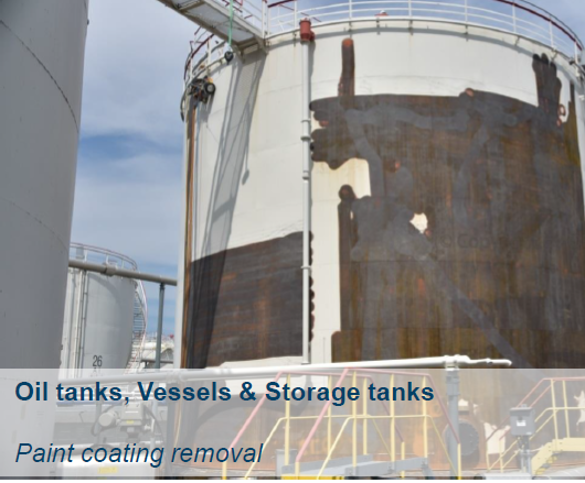 The crawler utilises water jets to efficiently remove paint, descale, and/or de-varnish the exterior of a tank, keeping the tank itself perfectly intact. We have two types of crawler, the Hydro Mag Crawler Vacuum and the Hydro Mag Crawler Universal. This magnetic crawler possesses a vacuum with powerful suction. This allows it to easily collect any water and/or dirt from the surface. This magnetic crawler, does not possess a vacuum. Instead, it features a sweeping arm to remove paint and clean. If you require a ship cleaning or tank cleaning surface, our robots can carry out the job quickly and effectively. If you would like to find out more about our Magnetic Crawler or other water jet cleaning robots, do not hesitate to get in touch! Call us on 01677 428 786, email us at [email protected] or fill out the contact form. We look forward to hearing from you.